March 25 (GoGo Mongolia) In view of the upcoming Coal Mongolia 2015 event, which is to bring International Investors into the coal sector of Mongolia; to introduce the most advanced, environmentally friendly technologies in coal mining sector; to create a mutually beneficial partnership that will strengthen Mongolia's competitiveness in Asian region we have met with B.Bat-Enkh, CEO of Minfo LLC, main organizer of the event. First of all congratulations on the 5th anniversarty of Coal Mongolia. What will be the objectives and trends of Coal Mongolia for this year? Coal Mongolia's objective to create a mutually beneficial partnership that will strengthen Mongolia's competitiveness, thus to help to vitalize one of the main sectors for Mongolian economy. As the event is held on international level many foreign participants are gathering and have a chance to visit main coalmines in Mongolia, which has number of advantages. Interested parties, such as researchers can actually have a look at developments happening in Mongolia. Secondly, investors are able to see the real situation at the mines and factories and have a chance to meet with the management and establish partnerships for future investment opportunities. This results in inflow of investments to Mongolia. How would you rate the past achievements of the event and what are the visions for the future? This year we are celebrating 5th anniversary and looking back we have been focusing on increasing the coal exports for the last several years. Moreover, we have contributed much to the incoming investment as well. Starting from this year the objective and trends for the Coal Mongolia participants is to be more focused on creating value and production of the value added end products. 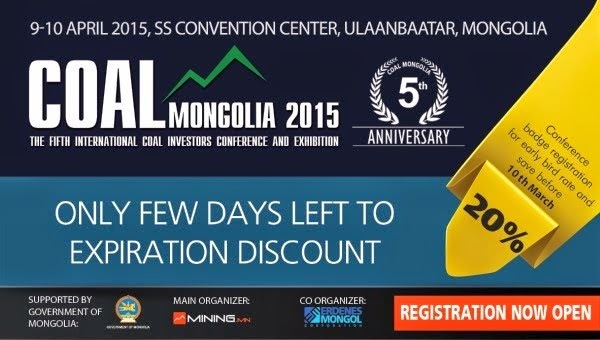 One of the main topics of the event has been the infrastructure for the coal market in Mongolia. During the first Coal Mongolia Convention many issues related to road and railroad was unclear, followed by the environmental concerns related to poor infrastructure around the coal mine basins located in the south of the country, where state, local and privately owned entities are operating. Now we have established road infrastructure at South Gobi and developed the concentration manufacture to process 15 million tons of coal annually. As of this year we are more hoping for joint policy for the state, local and privately owned coal companies, rather than having separate goals and operations, integrating the sales, production and logistics management and joining the forces to create strong competitor base. This year's event is significant to be coinciding with the Tavantolgoi consortium negotiations. Another aspect to be discussed this year through Coal Mongolia should be what other alternative product we can come up with using our vast coal reserves. One of the first gateways as we see is the development of the power plants at the coal deposits and production of energy with the long-term goal of exporting, after supplying the total domestic energy demand. In view of this direction there are possible opportunities at Baganuur, SHivee-Ovoo, Tavantolgoi and Chandgana Power Plant projects. On the other hand, the energy export might create another set of issues that needs to be solved within short period of time. Attracting investments and building power plants is one issue, the other concern will be how we should export them to China and Russia. We have to establish infrastructure, which also needs investments and solutions. Several companies have expressed their interest working in those areas and we are aiming to touch on this matter during Coal Mongolia this year as well. Tavantolgoi consortium negotiations, if successful, will significantly boost our coal market. Moreover, is expected to lead Mongolia to be leader at world coking coal market. How is the sentiment of the participants for Coal Mongolia 2015 as the number of investors in Mongolian mining sector has decreased? 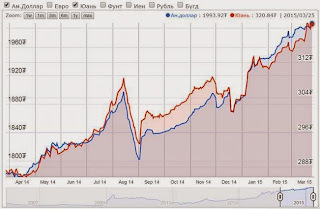 It is true that Mongolian mining sector have been experiencing downturn for past two years and the investor sentiment is rather negative. But we have managed to convey message to the investors that slowdown itself can create opportunities, as the slowdown leads to lowering of the project value. In other words, there is good chance to acquire deposits at the reasonable price during the down time. It is one main reason to why the number of Coal Mongolia participants is not declining during the past years. This year over 800 participants have registered. Which countries are more interested in participation? Which speakers are expected? Japanese and Chinese sides are very interested and comprise the majority of the participants this year in view of the Tavantolgoi consortium negotiations. If the negotiations succeed on both ends the integrated coal basin policy will be implemented, enabling the investment inflow in energy sector, especially in developing transmission lines. There are big global banking institutions ready to finance those projects. As of now, among the confirmed speakers there are Presidents of ING and PNB Paribas. 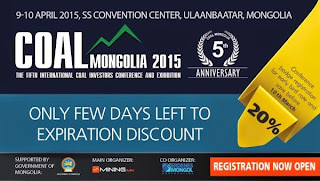 What was the reason of the change of the date for Coal Mongolia 2015? Coal Mongolia convention preparations start from the next day of the event. As the event gathers many international speakers, representatives of biggest banking institutions we have to work year round. Previous conventions have been organized in February, which inconveniently coincides with Lunar New year in China. And as main interest in Mongolian coal comes from China we decided to change the dates, to gather more interested parties from the biggest coal market, which is China. We have moved the date to April 9-10 and this has already giving its advantages. Good day, ladies and gentlemen. Thank you for joining us today. Welcome to the Turquoise Hill Resources fourth quarter and full year 2014 financial results held on March 25, 2015. The call is being recorded and will be available later today for replay. I would like to turn the call over to Jessica Largent. Please go ahead. Thank you, Donna. I want to welcome you to our financial results conference call. Yesterday we released our fourth quarter and full year 2014 results press release, MD&A, financial statements and other annual documents. These items are available on our Web site and SEDAR. With me today is Jeffery Tygesen, CEO; Steeve Thibeault, CFO; and Stewart Beckman, Senior Vice President of Operations and Technical. We will take your questions after our prepared remarks. This call will include forward-looking statements. Please refer to the forward-looking language included in our press release and MD&A. I would now like to turn the call over to Jeff. Thank you, Jess. It's an honor to be leading my first results conference call as being appointed CEO on December 1. While new to the role of CEO, I have been with Turquoise Hill as a Director since 2012 of August and in my previous position I began working with Oyu Tolgoi in 2010. I have always been impressed with this world class asset. Since my appointment I have made a number of trips to Mongolia to review Oyu Tolgoi's operations, work on planning, develop and maintain strong relationships with key stakeholders. In addition, I have met one on one with many of our large shareholders as well as presented and participated in several industry events. These opportunities have allowed me to hear a number of perspectives. One thing is clear. We have a common objective to deliver value for Turquoise Hill. I am going to provide a summary of our 2014 results. I will then turn over the call to Steve who will address the financial components of both quarter and the year. And then Stewart will cover off operations. So for 2014, there are several key takeaways I want to highlight. First, safety. It is one of the most critical aspects of our business and a major focus throughout Oyu Tolgoi's operation. For 2014, Oyu Tolgoi achieved a good safety performance with no fatalities and an All Injury Frequency Rate of 0.47 per 200,000 hours worked. Second, Oyu Tolgoi achieved strong financial results in its first full year of production. Turquoise Hill generated its first annual operating cash flow of more than $650 million driven by net revenues in excess of $1.6 billion. We expect another strong year of cash flow generation in 2015. Third, operations at Oyu Tolgoi performed well during 2014 despite a few challenges. We met our production guidance for the year and we are starting to benefit from the productivity improvements identified during 2014. Production distribution for 2015 is expected to resemble 2014 with significantly higher output in the second half of the year as the production from the high grade zone of the open pit recommences. Fourth, I wanted to speak about the status of the discussions with the Government of Mongolia. As previously disclosed, we made an offer to the government last year to resolve outstanding matters. The offer remains on the table and we believe it is beneficial to all stakeholders. We continue to engage with the government to resolve matters. Those discussions slowed since late in 2014 with the appointment of the new prime minister and new cabinet. The change in government required a pause in discussion to allow the new parties to get up to speed on the issues being addressed. Engagement is ongoing and I am confident that we can resolve the outstanding matters. We continue to work with the government to resolve the outstanding tax matters. Oyu Tolgoi has initiated an appeal to a ruling by the Mongolian tax authority. It is crucial that the tax situation is clear to support further investment. On project financing, we continue to engage with a consortium of banks and they remain supportive of the transaction. Current indications are a suitable financing package will be available once we have successfully resolved the outstanding matters. Until we are able to resolve those matters and restarted underground development, I think it's important to remember that we have the open pit mine generating positive operating cash flow. At this point I am going to turn over the call to Steve to discuss the financial aspects of the year in more detail. March 25 (Analyst Ratings Network) Equities research analysts at CIBC dropped their price objective on shares of Turquoise Hill Resources (TSE:TRQ) from C$4.50 to C$4.00 in a research note issued to investors on Wednesday. The firm currently has a "sector perform" rating on the stock. CIBC's target price would indicate a potential upside of 3.90% from the stock's previous close. Turquoise Hill Resources (TSE:TRQ) traded down 5.97% during mid-day trading on Wednesday, hitting $3.62. The stock had a trading volume of 478,485 shares. Turquoise Hill Resources has a 1-year low of $3.17 and a 1-year high of $4.56. The stock's 50-day moving average is $3. and its 200-day moving average is $3.. The company has a market cap of $7.28 billion and a P/E ratio of 27.85. Other equities research analysts have also recently issued reports about the stock. Analysts at Scotiabank set a C$4.00 price target on shares of Turquoise Hill Resources and gave the company a "sector perform" rating in a research note on Monday, March 2nd. Separately, analysts at TD Securities upgraded shares of Turquoise Hill Resources from a "hold" rating to a "speculative buy" rating and raised their price target for the stock from C$4.25 to C$4.50 in a research note on Tuesday, January 20th. March 25 (Bloomberg) -- Canada's SouthGobi Resources Ltd. said it will continue its legal defense after losing its appeal to overturn a ruling that it evaded taxes in Mongolia. The company rejects the verdict and will "defend itself through all available legal means" including the possibility of a second appeal, the Vancouver-based coal miner said in a statement Wednesday, following a one-day trial in Mongolia's capital. The Ulaanbaatar court upheld a fine on the company of 35 billion tugrik ($18 million), which SouthGobi warned in February could result in its insolvency. Its market value has shrunk 95 percent over the past four years amid plunging coal prices and legal battles with Mongolia. SouthGobi's shares in Hong Kong fell 2.2 percent to HK$6.15 as of 09:46 a.m. The verdict follows a presidential pardon granted to three former SouthGobi executives last month after they were handed five-year prison terms on the same charge of tax evasion. The case has drawn scrutiny for its chilling effect on foreign investment in the resources-rich nation. Its treatment as a criminal breach of the law has also been criticized. "We believe that there is a grave breach of legal due process in the SouthGobi case, where the penalty process should have been resolved through a tax-dispute mechanism outlined in tax laws and regulations of Mongolia," Dale Choi, founder of Independent Mongolian Metals & Mining Research, said in a note to clients. March 24 (Bloomberg) -- Mongolian Mining Corp (975 HK) was downgraded to "Reduce" from "Neutral" at HSBC by equity analyst Chris Chen. The target price is HKD 0.18 per share. 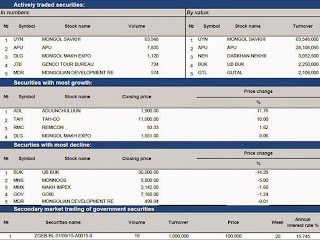 March 25 (Bank of Mongolia) Auction for 5 years maturity Government Bond was announced at face value of 10 billion MNT and each unit was worth 1 million MNT. Government Bond was not sold due to absence of both competitive and non-competitive bids. March 25 (Bank of Mongolia) Auction for 52 weeks maturity Government Treasury bill was announced at face value of 20.0 billion MNT. Face value of 3.0 billion /out of 23.0 billion bid/ Government Treasury bill was sold at discounted price and with weighted average yield of 16.440%. ULANBAATAR, MONGOLIA, March 24 (ADB) – Economic growth in Mongolia will slow down in 2015, reflecting necessary fiscal and monetary tightening to contain inflationary and balance of payments pressures, says a new Asian Development Bank (ADB) report released today. The Asian Development Outlook 2015, ADB's flagship annual economic publication, forecasts gross domestic product (GDP) growth in Mongolia to reach 3% this year, down from 7.8% in 2014. Assuming a stable external environment and the resumption of major investment in mining in 2015, economic growth should recover to 5% in 2016. Consumer price inflation, which peaked in July 2014 at 14.9% year-on-year following expansionary monetary and fiscal policies and currency depreciation, dropped to 9.3% in February 2015 as monetary policy was tightened, and is expected to meet the central bank's policy target of 7% by the end of 2016. The Government of Mongolia's immediate policy challenge is to tighten monetary and fiscal policy to address pressure on the balance of payments, while safeguarding financial sector stability, debt sustainability and the welfare of the population, especially for citizens living under the poverty line. Nominal public debt to GDP, including the central bank's foreign liabilities, rose from 31% in 2010 to 77.4% in 2014 with the consolidated deficit peaking at 11.5% of GDP last year. While some recent fiscal reforms are steps in the right direction—such as bringing Development Bank of Mongolia expenditures partly on budget—there is a need to strengthen debt management, especially by ensuring that borrowed funds are invested in a manner that increases the competitiveness of Mongolia's key economic sectors. It is also important to prepare for the repayment of significant liabilities in 2017-2018. Diversification of the economy remains a central challenge to ensure more consistent growth patterns and for generating jobs, which the capital-intensive minerals sector is less apt to do. March 23 (Steppe Dispatches) We had a chance to speak with Marius Toime, who is currently a project finance partner at Berwin Leighton Paisner's office in Singapore, where he specializes in mining contracts and financing in the Asia Pacific Region and is a noted expert on investment in Mongolia, on which he has written extensively. 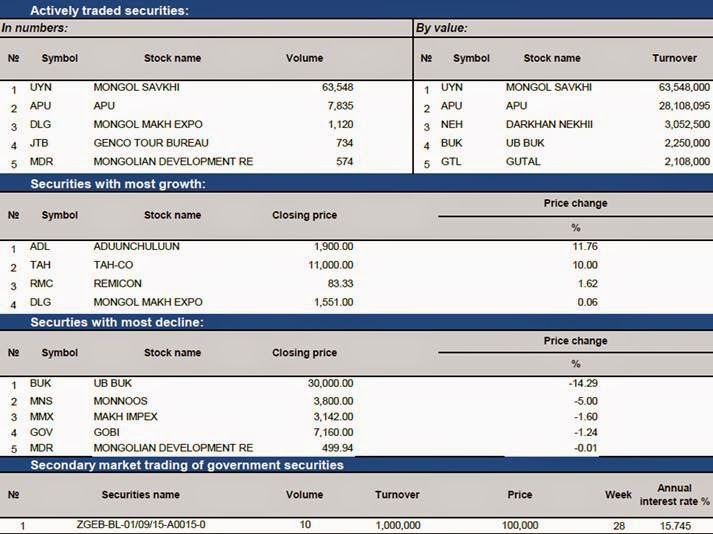 SD: As you noted last year in the FT, Mongolian FDI has seen a 62.4% plunge in 2014. Coupled with a declining currency and energy prices, as well as continuing issues at Oyu Tolgoi and further uncertainty with Tavan Tolgoi, it looks like a perfect storm for a recession. Is there light at the end of the tunnel and how long will it take to reach? Toime: GDP growth has been slowing dramatically. Debt at the government level has been increasing and is currently beyond statutory limits, and there is a real risk of a country-wide default. Although all of these economic signals are quite concerning, the new prime minister has taken quite definitive steps in order to avert a significant economic crisis. I think ultimately there is a light at the end of the tunnel; Mongolia does still possess an enormous amount of opportunity as a source of wealth. But there is much more that needs to be done with the current coalition to make that happen, and the largest part of that is the Oyu Tolgoi copper mine project. If project financing goes ahead, then the impact on GDP will help the country to a great degree and help restore confidence in other projects. The other element is that the government has recently announced the layoff of some 1600 government officials, and the slashing of certain public welfare programs, as well as a mortgage subsidy that they removed some time ago. So they are taking steps to reduce the current debt burden. SD: What are general indicators of fertile ground for foreign direct investment, both generally, and for mining and energy? Apart from presence of exploitable natural resources, what metrics and indicators do investors value when making a decision to take a position in emerging or frontier markets? Does foreign involvement in one sector spur interest in other sectors, and how quickly is this process reversed when things go wrong? Additionally, what is the role of international organizations like the WTO or the World Bank, and how much of an influence do they possess? Toime: Typically for both frontier and emerging markets (Mongolia would generally be classified as a frontier market), investors are typically looking for favorable demographics, growing consumption levels, relatively low debt levels, and room for productivity gains both within particular industries and as a whole. Mongolia is rather particular in that it has quite a small population, especially in comparison to some of the other "tiger" economies. There is a very significant population that is emerging into a wealthier class, which then leads to higher consumption growth. Mongolia has positioned itself as primarily a mining play, and ironically that is also something the government has tried very hard to diversify away from. But mining remains the central attraction to Mongolia for foreign investment. Now that's not to say that there isn't interest in infrastructure and industry as opportunities for investment – agriculture, for example is one area that there is interest in from abroad. Nevertheless, the overriding attraction comes down to natural resources. Part of the current bevy of problems, putting aside the obvious regulatory ones, is that the commodities market is in its downcycle at the moment. This is particularly true for coal, which has major implications for the Tavan Tolgoi coking coal deposit. Because it's state owned, there was a lot of hope this deposit would help turn things around. So given Mongolia's reputation as a natural resources play, it is vulnerable to market fluctuation and the cyclical nature of the commodities business. This is all part and parcel of Mongolia's current issues. At the same time, despite lower prices and lower confidence, any progress made on Tavan or Oyu Tolgoi is going to have a significant impact on GDP growth. The other thing to keep in mind is that there is a broad coalition of ten international banks, who have devoted research funds to Oyu Tolgoi. However, they've put all of their investments on hold while the government does battle with Rio Tinto and try to make amendments to the shareholders' agreement of Oyu Tolgoi. So this has created something of a bottleneck. These foreign banks will effectively not really provide financing for Mongolian projects because they already have an aggregate commitment of some $5 billion to the Oyu Tolgoi project. That's part of the significance of the project to Mongolia and why it is currently seen as something of a bottleneck. Mongolia is actually delaying other projects in the mining and energy space and more broadly in other sectors as well due to this lack of access/hostage-taking by Western capital markets. Broadly speaking, these kinds of assurances are particularly important to investors. Due to the high debt levels of the Mongolian government, it has also actively pursued infrastructure projects using Western capital markets, which are important not only for generalized economic growth but also for the movement of dry bulk products from the mines to China. SD: So the Mongolian government is trying to diversify away from being quite so mining-dependent – what other sectors have seen development in this regard? Toime: Agriculture is the primary one. Textiles is another. Infrastructure, both in terms of transportation and telecommunications. However, none of those sectors have attracted anywhere near the attention that the natural resources sector has attracted. For agriculture, one of the reasons why it hasn't seen the same level of development as mining is because every few years, Mongolia suffers a very severe winter. So that reduces the predictable cyclicality of that market that is usually a required mainstay of other agricultural markets throughout the world. Mongolia is also geographically relatively isolated, landlocked, and wedged between northern China and Siberia. That presents problems in terms of routing exports out of the country. Nevertheless, Mongolia is sitting next to two of the largest economies in the world, Russia and China. And China is the largest energy consumer in the world. So there are significant opportunities there, especially as Russia continues to pivot towards China and Asia as a result of Western sanctions and the Ukraine issue. SD: The big news coming out of the country in the past month has been the selection of the consortium led by Shenhua, Sumitomo, and Mongolian Mining Corporation over Peabody Energy. How equitable was this process, and considering how large the coking deposit is, will the incoming Mongolian administration be able to use this development to signal a turnaround to foreign investors? Toime: If we look back at the history of Mongolia over the last five years or so, the reason why foreign investment has shrunk so dramatically has been primarily due to those two factors mentioned earlier: the Oyu Tolgoi bottleneck and declining commodity prices worldwide. It's in this context that we have to take a look at Tavan Tolgoi and the Mongolian government's behavior. They've created prepaid coal arrangements with the Chinese by taking this deal for development by Shenhua and Sumitomo. But there have also been contract settling disputes with MacMahon that is developing a smaller part of the coal deposit. For Tavan Tolgoi, most of the attention has been on the auction but when we get to the project financing phase, that's where most expect to see problems surfacing, particularly for mining companies that are already struggling with massive debt obligations of their own. I don't think there's anything to suggest that the procurement phase of the project which prompted these negotiations with the three party consortium was not in agreement with Mongolian government procurement laws – but the problem is that there have been a number of auctions and tendering efforts for Tavan Tolgoi over the years and none of them seem to bring the project closer to any development. I believe that there is a bit of Chinese pressure despite the fact that the Chinese have large coal deposits of their own. Given Tavan Tolgoi's location adjacent to the Chinese border, it always makes sense for China to be involved, but there will always be some political sensitivity to that idea within Mongolia. SD: As you noted, the Chinese have a captive audience for Mongolian coal. However, Chinese coal consumption in 2014 was less than the previous year for the first time this century. Do you make much of this? If so, are statements made by Beijing regarding the CPC's alleged shift away from coal and towards natural gas ones to be taken seriously? How might this shift affect Mongolia in the medium to long term, given the monopoly China currently holds over Mongolian coal? Toime: My view is that Beijing is committed to developing alternative energy sources. I think between January and June of 2014 they installed somewhere around 2.3 Gigawatts of solar capacity, which required some $23 billion worth of financing solar ventures. That constitutes a large expenditure than solar in all of Europe put together. From China's perspective, it's looking at domestic issues at home as being the top priority, so protests around inequality and reports of soil and water pollutions are real issues and have been identified by Beijing as such. Coal supply is a lesser, long-term issue for them. They realize there will always be demand for coal in China, but it will grow to be a bit less as China transitions from a manufacturing-based economy to a service-based one? There is a place for coal in its supply chain, of course, but I think of more import for them are clean-coal technologies. What does this mean for Mongolia? In order to stay competitive and be less dependent on coal prices for project advancement and government revenue, it really needs to move forward with infrastructure development. Railways down to the Chinese border are an absolute necessity because they reduce freight costs and lower the price of Mongolian export. All of it right now is currently being trucked across, which is economically inefficient. Mongolia also needs more sources of downstream domestic processing for its coal. But to do any of this, the mines have to get up and running first. And unfortunately the past actions of the Mongolian government have really rattled the foreign investment community and so now Saikhalenbileg must take steps in order to attract investment back to the country, but I think that's just going to take time. SD: Could Mongolia diversify its customer base for coal to other Asia-Pacific players – certain other countries spring to mind like Japan due to its nuclear power issues or perhaps South Korea? Or is this too logistically difficult to even consider? Toime: Well, certainly there are other significant coal deposits up in the northern region closer to the Russian border. But Siberia is already a large coal producer, but this hasn't stopped some mining companies from sending test shipments on Russian railways to Vladivostok. The key problem here is moving the dry bulk export to the seaborne market. So there are really two options. The first is to go up through Russia to Vladivostok and the second is to go south through China to Chengdau and by both methods the product can then get to its end market. The logical question, then, is whether Russia or China would be willing to allow easy passage. What taxes or dues would be levied on it? If China really needs this coal for itself, will it allow transportation of another country's key commodity to pass through its own port and out to other countries? And Russia is also a large exporter – will it allow competition product to pass through? So there are significant challenges, but at the same time there are ambitious infrastructure plans in place for Mongolia to connect with both Chinese and Russian railways. In order to increase value and competitiveness, the best thing Mongolia can do is develop downstream processing plants within its own borders. It's currently exporting only raw product, which decreases the price of its exports to key customers and is ultimately a lost opportunity. Somehow they have to develop that domestic industry in order to add value to their existing resources. SD: What steps could the new government take to restore confidence? Stemming largely from investor discontent and economic decline, Mongolia's State Great Hural passed a new foreign investment law in 2013 designed ostensibly to liberalize policies that govern foreign investment and make consistent investments laws for both national and international companies. Nevertheless, foreign companies have on occasions been denied access to the Mongolian market for seemingly protectionist reasons. Will this persist, and what steps will be needed to display a more agreeable environment for foreign investment? Toime: The biggest tangible thing that they can do right now is resolve the dispute around Oyu Tolgoi. Once that happens, it will release a major bottleneck and help get foreign funds flowing back into the veins of the Mongolian economy. That's the single largest aspect of the current situation that is firmly within the government's power to resolve that will restore a great deal of confidence. Apart from that, reversing several of the less-friendly rules and regulations concerning foreign investment will help, increasing institutional capacity, reducing external debt loads. 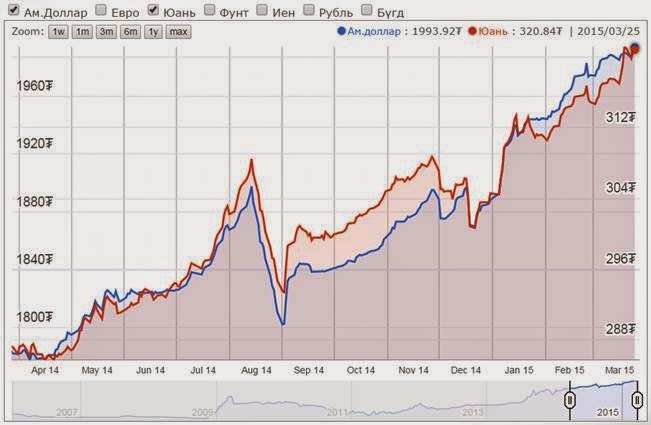 This is occurring – the Mongolian Central Bank has done a good job managing inflation and the extreme decline of the tugrik. However, these efforts are mostly piecemeal and the main element that will bring money back into the country is solving of this Oyu Tolgoi bottleneck. These other points are all slow-burn, in other words, they will take a long time to resolve. SD: In relation to Oyu Tolgoi, we've already touched on the disputes over management fees and the citation of Mongolian regulations, but could you go into what the original source of the disagreements between Mongolia and Oyu Tolgoi's developer Rio Tinto group were and how they have evolved into this current situation? Toime: There were a number of factors. The original stipulations of the agreement were constantly renegotiated by both parties, but primarily by the Mongolian government, there were significant disputes over the development costs of the mine itself and trading costs. Mongolian officials were questioning some of the expenditure on the project. Taxes, as well, were the other issue. As for the motivation behind these disputes, most of them have been driven by nationalistic sentiment. The core issue at stake is the sanctity of the contract – and Mongolia signs the contract, but then continually calls to renegotiate it. These actions certainly haven't done them any favors in the eyes of the investment community. If investors go into the country and cannot be assured of an underlying concession, or contracts with the government whether it's a power purchase agreement or the paper that's a central piece of bankability for the project is not set in stone and will not be respected by both sides, then it's very difficult to proceed. SD: You mention these nationalistic impulses that drove the near-breaking of this contract. There are several opinions in the Western media, dominated by foreign investment interests, what is the Mongolian or populist objection to these contracts? Do they feel like they are getting a raw deal, or is it something more fundamental? Toime: There is a general distrust of foreigners there – not necessarily a xenophobia, but an understandable lack of trust for companies that come in and try to make money on their land. There is a fundamental misunderstanding, however, since foreign investment is a means to an end – it's very much necessary to drive improvements in the country. The natural tendency when things are going well – when the commodity cycle was at its apex, there was significant excitement about Mongolia – and populists were raising their hands and asking, "Well, why are these foreigners making so much money on this stuff in the ground that's owned by the Mongolian people? Why are any foreigners in the country at all?" But foreign investments provides technical and financial contributions that would not exist otherwise, and in the end, only assist in developing the local economy. SD: You note that when projects are successful, there is a lot of eye-raising internally that generates these disputes over contracts and profits. In the current commodity downcycle, with wealth and investment leaving the country, will the opposite occur and make Mongolia more amenable to foreign investment interests in order to rescue their own faltering economy? Toime: Absolutely. There's now a recognition that something needs to change. That the government laid off those 1600 officials is a positive sign. The slashing of public welfare programs and others that are publicly subsidized indicates that their focus is swinging back towards creating an open and stable environment for investors and projects to develop. There's more of a recognition that foreign investment is needed. But is it too late? There's a lot of opportunity in Mongolia, but they really need to take steps quickly. Concessions will need to be made. SD: New Prime Minister Chimed Saikhanbileg came in with a mandate to fix the economy, yet analysts have questioned his ability to alter the country's downward economic trajectory. As you've noted, his job will be one of balancing off interests between populist, nationalistic concerns over foreign investment, and creating this environment that will bring all of that foreign wealth back in to facilitate development. What should be on his agenda, and what role should he play in this? Toime: Well, Saikhanbileg was part of the old government. So there's a question whether he is truly sincere, or if he plans on managing the economic decline. Certainly since he's taken office he's made the correct announcements about trust needing to be rebuilt with the private sector, bringing together the super coalition and leading them towards a goal. It remains to be seen if he will be successful, however. He only has a short term to do that. If definitive steps aren't taken in the future, then Western investors will need to wait until the next election. I do think that there is a common understanding that the disputes need to be speedily resolved. Whether that's possible in his short term remains to be seen. Ulaanbaatar, March 25 (MONTSAME) An acting chairman of the Authority for Specialized Inspection Sh.Radnaased has issued a direction on assigning the localities' specialized inspection agencies to issue the certificates regarding the export and import of house pets, animal-origin foods, and sanitary instruments for veterinary use. The direction will come into force on April 1. March 25 (gogo.mn) N.Ariunbold, Secretary of State at Ministry of Food and Agriculture received K.L.Nikolaevna, Vice President of BuryatMyasProm LLC from the Republic of Buryat. K.L.Nikolaevna reported that BuryatMyasProm LLC has been established in 1937 and has the capacity to produce 36 million canned products, 5000 tons of sausage and 2000 tons of semi-manufactured meat products annually, but due to the deficit of the raw materials /meat/ the company is not operating at full capacity and expressed an interest of buying meat from Mongolia. N.Ariunbold, Secretary of State confirmed the issue will be supported with the policy and requested the other party to submit written request. March 25 (infomongolia.com) Mongolian Embassy in Pyongyang, the Democratic People's Republic of Korea and Mongolian National Chamber of Commerce and Industry (MNCCI) are jointly to participate in the "Pyongyang Spring International Trade Fair" to take place in Pyongyang on May 11-14, 2015. In the frames of collaboration between the MNCCI and North Korean Committee for the Promotion of External Economic Cooperation, the DPRK is also to attend the 19th "SME's Product, Service and Technology 2015" International Exhibition & Trade Fair to be organized at the Misheel Expo Center in Ulaanbaatar on June 11-15, 2015. In 2014, Mongolia participated in the "Pyongyang Spring International Trade Fair" showcasing its leather accessories, handbags & outfits, cashmere products, camel & sheep woolen blankets, jackets, goat, sheep & camel socks, small & medium size carpets, meat & meat products as well as other food products that were much attracted by Korean side. Contrary, Mongolian entrepreneurs were interested in importing traditional and modern medical drugs from North Korea as well as pharmaceuticals, medicinal plants, fruits, and cotton textiles. In conjunction, charter flights from Ulaanbaatar to Pyongyang will be conducted for consumers and travelers during the event. The "SME's Product, Service and Technology 2015", an annual International Trade Fair, is the largest business hub in Mongolia with the great variety of exhibits and the most onsite deals annually supported by the Government of Mongolia. The purpose of this trade fair is to present domestic & foreign SME's commodity products and services promoting its business between interested parties. The SME's Product, Service and Technology International event was first initiated in 1997 and thereafter, 18 sessions have been successfully hosted so far. In 2014 Fair Trade, exhibitors from many countries such as Russia, China, India, Poland, and Taiwan had performed their products and services. March 25 (gogo.mn) T.Ayursaikhan, Head of Fair Competition and Consumer Protection Agency informed that the residents who were charged with MNT 70.000-80.000 for car towing before 20th of November, 2014 are able to make complaints and file for money return. Before 20th of November, 2014, Car towing charge was submitted illegally thus, one have right to claim the whole money. Complaint will be appealed to the district court. Total of 9230 vehicles were towed and MNT 647 million 710 thousand were accumulated to the capital budget during 2013 to 2014. According to the order of Head of General Police Authority, car towing fee of MNT 55.000 was submitted as legal. March 25 (gogo.mn) "Regulation on using wheel lock" directed at decreasing the traffic load, was submitted by City Council. Competition and Consumer Protection Agency sent official letter to stop that illegal activity, as the City Council is not legally entitled to submit those orders as the agency claims in their official warning to the City Council. Ulaanbaatar, March 25 (MONTSAME) Senior consultant at the Municipal Governor's Office Mr Scott McDonalds was awarded Tuesday a title "Distinguished Figure of the Capital". He had graduated California University majoring in Political science, and satisfied a master's degree in political institutions. He had working experiences at the San Francisco public enterprise as a general manager and as a senior analyst to the Mayor of San Francisco on public policy and finance, at the US Congress as a senior policy analyst, and as program manager in Malaysia and other East Asian countries. Mr McDonalds had been working as a senior consultant to the Ulaanbaatar Governor's office for 18 months through Asia Foundation of the USA. He had consulted the frameworks of waste management, structural changes and mapping of Ger (national dwelling) districts. The Mayor of Ulaanbaatar E.Bat-Uul said, "We appreciate Your contributions to the new developments of legal and policy documents of our capital city, improvements of fiscal and economic systems and the public administration management, whilst Your high responsibilities overseas", and noted that Mr McDonalds's experiences and advice had been of a great importance in the changes over Baganuur and Nalaikh districts. March 25 (gogo.mn) President of Mongolia Tsakhiagiin Elbegdorj expressed his condolences to the President of Singapore Tony Tan Keng Yam on the passing of Singapore's first Prime Minister, Lee Kuan Yew. The letter of condolences says: "It is with deep grief that I heard the news about the death of the founding father of the Republic of Singapore, an outstanding statesman Lee Kuan Yew. His legacy and contributions to the independence and development of Singapore will be remembered forever, which made the country one of the "Four Asian Tigers" economic powerhouses and a leading country in the social, economic sector not only in Asia, but throughout the whole world. On behalf of the people of Mongolia and myself, I extend my deepest condolences to You, Lee Kuan Yew's family and the people of Singapore". BEIJING, March 24. /TASS/. The transit of Russian gas to China through Kazakhstan is less economically viable than the direct delivery, China Petroleum University Professor Pam Chancey told TASS Tuesday. "It is a purely economic issue — direct deliveries are profitable for both the supplier and the consumer," the expert said. According to him, the gas transit through Kazakhstan will increase the cost. "This option would be interesting if the route had additional gas fields. However, they are not to be expected, thus pumping gas through Kazakhstan is meaningless," he said. He noted that a similar proposal was made by Mongolia. "The Mongolian side explained it by the need for supplying their cities with gas," the expert said. Thus, according to him, China has three options. "The first, and most profitable, is to organize a direct delivery from Altai to Xinjiang, north-west of China. Second in terms of priority is Russian gas transit through Mongolia. This route is also interesting because it is relatively short," the professor said. "In this case, the route through Kazakhstan is the least profitable," he said. However, the expert emphasized that Kazakhstan is "a reliable and trusted partner of China." "I do not doubt the safety of the route through Kazakhstan," he said. As TASS previously reported, Kazakhstan proposes to Russia an alternative route for gas supplies to China, which uses the existing supply route from Russia to the south of Kazakhstan through Bukhara-Ural and Bozoi-Shymkent pipelines. March 25 (news.mn) The 2nd high level meeting of Ministers of Foreign Affairs of Mongolia, Russia, and the People's Republic of China was held on March 23, 2015, in Beijing, China. Vice Minister of Foreign Affairs of Mongolia N.Oyundari, Vice Minister of Foreign Affairs of Russia Igor V. Morgulov, and Vice Foreign Minister of China Cheng Guoping participated in the meeting, representing their countries. The sides stressed that it is necessary to expand and develop trilateral cooperation in trade, economy, and infrastructure, and enrich the work with vital content. They also exchanged views regarding official agreements to be signed during the upcoming trilateral meeting to be held in Upha, Russia, in July 2015. On the same day, Foreign Minister of the People's Republic of China Wang Yi received Vice Minister of Foreign Affairs N.Oyundari, Vice Minister of Foreign Affairs Igor Morgulov, and Vice Minister Cheng Guoping, and discussed the results of the 2nd meeting of Vice Ministers and issues of trilateral cooperation between the three countries. The 3rd high level meeting of Vice Ministers of Foreign Affairs of three countries will be organized within the 2nd quarter of this year in Moscow, Russia. Catherine Arnold has been appointed Her Majesty's Ambassador to Mongolia. March 23 (Foreign Office) Catherine Arnold has been appointed Her Majesty's Ambassador to Mongolia in succession to Mr Christopher Stuart, who has left the Diplomatic Service. She will take up her appointment during May 2015. Ms Arnold joined the FCO in 2006. She has worked on a range of issues including human rights, counter terrorism and public affairs. After serving in Afghanistan, Iran, Iraq and Oman, Ms Arnold returned to London to work in the FCO's Prosperity Directorate before moving to UK Trade & Investment. Born and educated in Asia, Ms Arnold started her career in the private sector, working in the UK and overseas before joining the FCO. She holds degrees in conflict, philosophy, and theology & mathematics. "I am delighted to have been appointed as Her Majesty's Ambassador to Mongolia. It is a particular honour to serve in a country with such a fascinating history and promising future. I look forward to working with the Mongolian Government and people to build on the strong links between our countries to further our mutual prosperity and security." March 24 (thinkRUSSIA) Mongolia and Russia have a long-standing common history. Their cooperation dates back to 1911 when Russia was among the first countries to support the independence of the newly founded Mongolian People's Republic. Since, Mongolia and Russia have maintained close bilateral ties with both countries developing similarities in language and political views. According to Dr. Peter Schaller, former German Ambassador to Mongolia and now President of the German Mongolia Forum, Russia was largely responsible for the great educational and economic development in Mongolia. "Russia helped establish a functional education and healthcare system as well as infrastructure such as airports, bridges, paved streets and, most importantly, the Trans-Mongolian Railway as extension of the Trans-Siberian Railway. In Ulaanbaatar, Russians helped build operas, theaters, music schools and universities", Schaller elaborated. At the same time young Mongolians were sent to Russia to study and since then there has been close cooperation in such fields as archaeology, geology, geophysics, history and cultural sciences. The Russian-Mongolian relationship blossomed in the 1970s and 1980s and strengthened with the 1993 Treaty of Friendship and the 2000 Ulaanbaatar Declaration which formalised cooperation on numerous political and economic issues. In recent years, Mongolia and Russia have cemented their bilateral political and economic ties through numerous visits of their political leaders. This culminated in the establishment of a visa-free travel zone between the two countries in September last year. According to Frank Riedinger, a German expert on Mongolia, this was a crucial step for Russian-Mongolian trade relations. Russia is now competing with China as Mongolia's main trading partner with the rich copper and gold deposits in the Gobi desert being presently the focus of joint exploration efforts. In addition, Mongolia's supply of oil and gas is largely provided by Russia. Bilateral trade in 2013 reached more than $1.6 billion, with Moscow playing an important role in the country's coal, silver, and uranium mining sectors. Schaller also highlights that the Ulaanbaatar Railway between Russia and Mongolia has been vital for increased trade routes. The economic partnership between the two countries continues to thrive, but cultural ties between the two countries also remain strong. "There is an active cultural exchange between Mongolia and Buryates or Tuvans, which are related tribes living in Russia. Especially during the largest cultural fair of Mongolia, Nadaam, performers from those regions are invited and celebrate together", Riedinger said. With the countries' intertwined history and strong cooperation in various fields, the Russian-Mongolian relationship appears set for a bright future. How do you see the future partnership between Russia and Mongolia? This article appeared in the Jan-Feb 2015 edition of Tibetan Review. Despite an initial doubt about its validity under strict Western standards, the Tibeto-Mongol treaty of Jan 11, 1913 by which Tibet and Mongolia recognized each other's independence from China, was indubitably valid, that it had real consequences in terms of upsetting the Anglo-Russian Entente of 1907 – due to the 1912 Treaty between Mongolia and Russia – and caused other geopolitical consequences which eventually led to the tripartite Simla Convention of 1914 between Britain, Tibet and China, explains Matteo Miele*, relying mainly on British archival sources. On 17 January, 1913, the Russian Minister of Foreign Affairs, Sergey Sazanov, handed to the British ambassador, George Buchanan, a memorandum about the mutual recognition of Mongolia's and Tibet's independence from China. The representative of the Dalai Lama was Agvan Dorjiev. The 1912 Treaty between Mongolia and Russia was the model for the Tibeto-Mongol treaty. Lost for decades, the original treaty was discovered in Mongolia several years ago. Its English version is kept at The National Archives in London. The copy was handed by the Russian government to Buchanan, together with a dispatch written by the Russian State Councillor in Urga Yakovlevich Korostovetz. Signed in the Mongolian capital Urga on 11 January, 1913 (according to the Gregorian calendar), in the document the Dalai Lama "approves and recognises the formation of an independent Mongol State, and the proclamation, in the year of the pig and the ninth day of the eleventh month, of Chjebzun Damba Lama of the yellow faith as ruler of the country" (art. 1), while the Bogd Khaan "approves and recognises the formation of an independent (Thibetan) State and the proclamation of the Dalai Lama as ruler of Thibet" (art. 2). The text has a particular importance in the perspective of the future Tibetan events of the second half of the twentieth century, since it is an international treaty between Tibet and another country, without any Chinese action, denying Beijing's suzerainty. This treaty raised some questions. First of all regarding the validity of the treaty, since Western diplomacies were not sure about the authorization given to Dorjiev to sign the treaty in the name of the Dalai Lama. On this issue, Sazanov himself had some doubts. Korostovetz wrote about "absence of legal rights of the signatories (…) and does not merit the title of an International act", but according to the Russian State Councillor the treaty was useful against the Chinese. Regardless, the attempt to apply international law, as it was understood in the West, to two realities whose political and diplomatic history was explicated in mechanisms that were totally different compared to the formality of the European chancelleries is an unreasonable attempt in a historical perspective. It is not possible to relegate and to interpret the issue of the legality of the independence of Tibet and Mongolia only in the light of Western international law. The two countries were acting within the framework of Tibetan Buddhism: the legitimacy of the power of the Dalai Lama in Lhasa and of the Bogd Khaan in Urga, even before the political logics, was based on the Buddhist idea of "body of manifestation" (sprul-sku) and the same connection between Ch'ing dynasty and Dalai Lama was fulfilled in the context of a link between a secular leader and his religious teacher (mchod-yon). The political and legal aspects of this situation have to be considered in the Buddhist light and accepted in their concrete developments. It is impossible to impose a full overlap with the international system that came out of the Peace of Westphalia in the West. It would not be correct to accuse the diplomats of the time regarding their inability to separate their own legal systems from oriental institutions, but in contemporary research this is absolutely necessary. There were different opinions regarding the Dalai Lama's involvement with the treaty. According to John Jordan, British ambassador to Beijing, in fact "it appears that the Dalai Lama took the initiative in negotiating this compact which formally declares the separation from China and the independence of Thibet and Mongolia". Jordan wrote in his letter to Sir Edward Grey, the Secretary of State for Foreign Affairs: "the two States agree to uphold the Buddhist religion and to assist each other against external or internal dangers". On 9 March, 1913 the Government of India wrote to the Secretary of State for India Robert Crewe-Milnes that "political officer in Sikkim should be instructed to write to Dalai Lama informing him that His Majesty's Government, having heard a report that the agreement has been concluded, wish to know whether it was authorized by his Holiness, and, if so, what are the terms of the agreement". In the opinion of Grey "in the absence of evidence as to the legal rights of the signatories, the document does not possess any political significance". According to the sources of David Macdonald, British Trade Agent in Ya-tung (Gro-mo), the Dalai Lama did not authorize signing the treaty between the two countries. Regardless, at the same time Charles Alfred Bell wrote: "there can be no doubt that such an agreement would be welcome to the Dalai Lama in the present position of affairs". However, in the British perspective, that treaty had even another meaning, as Bell said: "It is also indubitable that the agreement, if acted on, may prove a source of considerable embarrassment to us, for Mongolian assistance under article 4 brings appreciably nearer the danger of Russian intervention in Thibet". Article 4 ensured mutual "assistance against external and internal dangers". And since the supplies of arms and ammunition to the Mongols meant essentially Russian support, it was not difficult to consider military operations in Tibet in defence of Tibetan independence as operations essentially managed by the Russians. Russian weapons had been sent to Tibet by the Mongols, those same weapons used by the Tibetans to defeat the Chinese. Article 4 was not a simple statement of principle, but a fact. Beyond the legal definition of the document, the Tibeto-Mongol Treaty was really operating. The British were worried also because of the religious link between Tibet and Mongolia, an ancient link that was a contemporary issue when many monks from Mongolia were moving to the monasteries of Tibet "to act with considerable effect as the apostles of Russian ideas and influence". In summary, the independence of the two countries was upsetting the 1907 Anglo-Russian Entente, when Russia and the United Kingdom renounced claims and interests in Tibet and returned the matter to the weak Ch'ing Empire. This was a solution that did not sustain the brunt of the crumbling of the Manchu imperial power and that had to be rethought in new geopolitical terms. However, dealing directly with the Russians on the issue of Tibet in March 1913 was likely to result in a Russian request for a redefinition of the status of Afghanistan (together with Persia and Tibet the other country at the centre of the Entente), as the Emir of Afghanistan had not recognized the agreement of 1907 and also some provisions had not yet been put in place. "Sir E. Grey would suggest, therefore, that in replying to the Russian Government's request for a favourable reception of the recent Russo-Mongolian Treaty, the whole situation should be frankly laid before them, and a discussion invited of the bearing of this treaty upon the position of Thibet, but that in doing this His Majesty's Government should not at first ask directly for a revision of the convention, but should merely invite the Russian Government to a discussion of the situation in the hope that by so doing a request for a quid pro quo might be avoided". However, the balances of the Anglo-Russian Entente had to consider the legitimate Tibetan and Mongolian objectives. The link between Lhasa and Urga threatened to become a wider link between Lhasa and Saint Petersburg: an old risk that was coming back as one of the possibilities, even if a remote one. It was necessary for the British to rethink their role in the area and to consider the idea of a Tibet that was (at least de facto) independent. It was the moment to collect the credit of friendship and benevolence accumulated in recent times with the thirteenth Dalai Lama and to define the situation in the clearest way. The problem of a formal recognition of the Tibetan independence, and an eventual subsequent British protectorate, would have troubled the international balances, but the Russian action in Mongolia was a danger and at the same time an opportunity to define the roles in High Asia. "Russian action in Mongolia does not, I imagine, directly concern Great Britain, but indirectly it is of very great consequence indeed, for you must remember that Mongols who live on the Mongolian border which borders on the province of Chihli and on the border of Manchuria have made it known, no doubt from interested motives, that Great Britain and Russia are acting in accord in protecting Mongolia and Tibet and that these two great Nations are privy to the Mongolian Tibetan agreement. Statements made at rare intervals in the House of Commons denying these suggestions can do little to interact the evidence furnished by the Mongols themselves". "He pretends to know nothing of conclusion of agreement in question, but does not deny that Thibet and Mongolia have all along had an alliance of mutual support and assistance, and that, irrespective of any new agreement, this is still in force. He adds that Dorjief was given two letters by Dalai Lama, the first of which laid down that the two countries should give each other help for benefit of Buddhism, while the second authorised Dorjief to work to this end. This second letter confers powers as wide as, if not wider than, those which Lonchen himself now holds; it was given to Dorjief when Dalai Lama was in Urga, despondent about help from China or His Majesty's Government, and in close relations with Russia. To judge by phraseology of third article agreement of November 1912 between Russia and Mongolia, and by chain of thought which runs consecutively through series of Mongolian agreements which runs consecutively through series of Mongolian agreements, it appears quite probable that Russia inspired the Thibet-Mongolia agreement; and whether or not existence of new agreement is admitted by Dalai Lama, we see no reason why its existence should be considered uncertain, or why we should doubt that its terms are as Korostovets reported. Further, in absence of any provision in it for ratification, Dalai Lama may find difficulty in repudiating it even if he wants to do so, and would, in any case, have difficulty in refusing to Mongolia privileges for which it makes provision. We think that, in these circumstances, it is safer to reckon on the agreement as really existing, and to get it produced openly". This telegram is certainly a document of extreme importance in the reconstruction of the Tibetan issue in the early twentieth century, but also in a more recent perspective. The treaty was clearly valid in the eyes of the government of India: Dorjiev had had a letter authorizing him to negotiate a treaty with Mongolia. For the British, who were negotiating with the Tibetans in Simla therefore the treaty had to be seriously considered and the logic of the negotiations had also to be linked to that agreement between Lhasa and Urga, at the origin of which Delhi could see a Russian hand. * Matteo Miele (Frosinone, 1984) holds a Ph D in Political and Social Sciences, Program in Geopolitics, from the University of Pisa, where he is a Cultore della materia at the Department of Political Sciences. Between August 2011 and July 2012 he was a lecturer at the Sherubtse College, Royal University of Bhutan. March 25 (MetaStory NGO) The creators of Marco Polo, American drama series is visiting Mongolia for official screening. Ten episodes of series is about 13th century Mongol Empire. Jon Fusco, writer of Hidalgo and Spirit: The Stallion of Cimarron, Dan Minahan, Director of Six Feet Under and other TV shows, and Richard Sharkey, Location Production Manager of Lord of the Rings trilogy, are coming to Ulaanbaatar for official screening for Mongolians. The screening will be held on 26th of March, at Hunnu Cinema. The screening will show the first two episodes of Marco Polo series. One of the reason brought those creators to Ulaanbaatar is that the creators want more Mongolian talent to be involved in the upcoming 2nd season of Marco Polo that should be skillful of horse riding, archery, butchery, singing, playing traditional musical instruments, wrestling and making traditional handicraft. There are 40-60 slots for people with characterful faces of young and old to represent Mongolians and provide depth and context to the scenes of one. Mongolians are grateful for Netflix, for making "Marco Polo" a Netflix series, one of the most expensive ventures for netflix; an estimate cost of 94 million USD was put into the project. "Marco Polo," is produced by The Weinstein Company, based on records of Marco Polo, 13th century explorer in Kublai Khan's court in Yuan dynasty with presenting Mongolian invasion in Asia. The series utilized Mongolian artists, from acting to score to be part of the series, and used Mongolian folk rock band's music for the score. Additionally, one troupe is the recognizable Mongolian words can be heard throughout the series, which no other filmmaker really tried to do till Marco Polo. Lastly, the series describes Mongolian history and culture more authentically than any other foreign rendition of Mongolia. March 24 (KRWG) Recently five delegates from a University in Mongolia visited New Mexico State University. The delegates from Mongolia National University of Education visited New Mexico State University to discuss ways to find more collaboration and future educational opportunities. Dr. Candace Kaye, from NMSU's College of Education worked as a liaison for the trip. Dr. Kaye talks about this unique visit. "We are supporting and learning from them, at the same time they are going through extensive educational reform, going from a Russian-based education to more of a student-centered or democratic process, and they are looking to have support in that," says Kaye. Dr. Khujuu Tamir, Vice President of Academic Affairs of Mongolia National University of Education says the trip is to find out more possible ways to work together. "This trip is to work on the possibilities to cooperate together to develop online programs for undergraduate and graduate level. The second is to develop English Programs," says Dr. Tamir. Colin Large, with NMSU's International Programs also took part in meetings with the delegation. He says there are possibilities of collaboration in online coursework at the graduate level. Large also says that there may also be collaboration with language development programs. "Particularly towards academic language, higher order presentation skills-writing articles, publication level writing skills," says Large. The delegation also traveled to Santa Fe where they were recognized at the State Legislature. March 7 (ESPN) Chimdee stands still as the referee approaches the mat. Summoned to the center, the 132-pound wrestler from Mongolia bobs her head in recognition, drops into a quarter squat and with both hands lands three thunderous slaps to her legs; two to her thighs and one to her hindquarters. Chimdee's leg-slapping entry is an ode to her home country of Mongolia and the nomadic herdsmen and wrestlers (all men) who have enacted the same motion before every match competed for centuries. In her first world championship final, in 2014, the 19-year-old nicknamed Chimdee -- her full name is Sukhee Tserenchimed -- finds the moment to recall this power and show that Mongolian women have co-opted this centuries old leg-spanking as their own, that wrestling in Mongolia and worldwide was no longer gender-specific. But as the Women's World Cup of wrestling kicks off in St. Petersburg, Russia, this weekend, does Chimdee have what it takes to lead her team to a world title and into the hearts of her fellow Mongolians? Mongolian women like Chimdee didn't always have the opportunity to wrestle. It wasn't until the International Olympic Committee voted the sport of wrestling into the 2004 Olympic Games in Athens that national wrestling federations began to support women's wrestling. Prior to Olympic involvement, women in Mongolia and other developing nations were relegated to lives absent of accessible sports. While Japan and China have historically dominated women's wrestling with big budgets and regional programs, over the past several years the development of the Mongolian team has shown that the growth of women's wrestling is making an impact where it's needed most -- nations with few opportunities for social and economic mobility for women. A recent study commissioned by United World Wrestling (the international federation for the sport) found that wrestling makes a direct and significant impact on disadvantaged women around the world, offering those with the fewest resources a substantial opportunity for significant upward mobility. Because wrestling has little or no start-up costs, there are few barriers to entry, which then essentially creates an athletic meritocracy. Win, you start. Lose, you don't. Money and equipment are of little value in a sport stripped of excess. This weekend's Women's Wrestling World Cup in Russia is a celebration of sorts for the organization. Once ridiculed for a lack of gender equity, wrestling recently added two Olympic weights in women's freestyle (for six total, the same as men's freestyle), and over the past few months, the sport has pushed international federations around the world to add women's programs. Last week, Iran, once thought to be intractable when it came to women wrestling, added a women's belt wrestling program -- a style of the sport that includes a jacket and belt. There are success stories across the sport and the globe, but few sparkle as bright as that of Chimdee, the world's top-ranked wrestler in her weight class. Squeezed between Russia and China, Mongolia is a country steeped in the folklore of self-reliant, masculine men. The land of Genghis Khan, Mongolia's ethos swirls with nomadic toughness and a historical pride in ancestors who once conquered half the earth armed with little more than resilience and cunning. Wrestling sits at the center of that macho Mongolian culture. In the time of the Mongol Empire, Khans would choose generals based on their efficacy and courage in wrestling competition. That wrestling style, known as Mongolian Bokh, exists today and, despite incursions from soccer and basketball, remains the country's most popular sport. However popular, Bokh is still only practiced by men. Chimdee was raised in Ulaanbaatar, the often-polluted and desperately cold capital city of Mongolia. Her father died when she was 7 and her mother, sick for much of her teens, raised her to be mannered and tough. Like they do with champion horses, Mongolians believe in bloodlines when choosing wrestlers. Chimdee's father had been a champion wrestler from the countryside, so when wrestling was first offered to girls in the early 2000s, Chimdee's mother trusted that her daughter had a chance at success on the mat. "I was always hearing about my father's wrestling," Chimdee said. "Wrestling scared me, but I wanted to be like him and so did my mother." Following her instincts, Chimdee's mother grabbed her daughter's hand and marched her into a local wrestling club. Over the next several years the club became her second home. On the mat today Chimdee dominates opponents with a unique blend of brutality and flexibility, that has made her a marketable star at home. Chimdee controls opponents with withering hip pressure and frustrates them with a Gumby-esque ability to squirm out of danger. In the 2013 Junior World finals, Chimdee, then 18, met the leg attacks of her opponent with the pointy edge of her hip and sent the outmatched grappler tumbling back over her own legs again and again. "She's one of the toughest wrestlers I've ever seen," said Mongolian Wrestling Federation president Dagvadorj Asashoryu. "She works hard and is strong. We think she can be an Olympic champion." Over the past several years, Asashoryu -- most noteworthy as the 68th Grand Yokozuna of sumo -- has poured hundreds of thousands of dollars of the federation's money into the development and success of women's wrestling in Mongolia. The imposing 280-pound former wrestling champion says that in addition to national glory he sees the quest for Olympic gold as a way to improve the lives of women wrestlers in Mongolian culture. "Mongolians bleed wrestling," Asashoryu said. "Wrestlers love the Mongolian people and they love their wrestlers." The national pride and the desire to please a nation and its legacy sit at the center of Chimdee's external motivations. "I would never have seen the world without wrestling," Chimdee said. "My life is for the sport of wrestling, and I want to make my mother and country proud." After cuffing her thighs, Chimdee marches to the center and on the whistle lunges toward her opponent. She's crafty on the mat, luring her challenger into ill-advised attacks, only to wallop her with a megaton of hip pressure. For six minutes she swirls and spins, pulls and yanks, and at the end of the match her hand is raised as the winner 12-3. With her victory back in that 2014 match, Chimdee becomes only Mongolia's second-ever women's world champion. Smiling to the point of giggles, Chimdee is given the flag of her country and asked to run around the gymnasium. An audience of 5,000 Uzbek men envelop her with applause, and she gushes as she runs to hug her coaches. A world champion, ranked No. 1 in the world and a celebrity at home (she recently won recognition as "Best Female Athlete"), Chimdee remains focused on new, larger goals. "I want to be an Olympic champion," she said. "I want to make my country proud of me and to keep wrestling in my family. I love this sport and everything it and Mongolia has given to me." Chimdee will have 18 months to prepare for the Rio Games. This weekend she'll lead a Mongolian squad into the World Cup in what they hope will become their first team title. Afterward she'll go home and spend countless hours strengthening her body, increasing her flexibility and working on her technique. She'll also spend a few days here or there being toasted by the Mongolian men and women who 20 years ago would never have known that living among the nomadic herdsman and world-famous wrestlers were women who would one day prove, like them, to be among the toughest wrestlers on the planet. "For our country, we want to make a new wrestling hero in Rio, " Asashoryu said. "For Mongolians, I think Chimdee can be that hero."